We had a busy busy day in Gatlinburg yesterday. We fit in a bunch of attractions and were on the go most of the day. The boys are having a great time and there is so much to do in Gatlinburg with kids. Some attractions are definitely a better value for your buck, but all of them have been enjoyable and there has not been one that at least most of us did not enjoy. Most things have been family friendly and good for children of all ages, although children or adults with a fear of heights may wish to skip over some of them. This was one of the most enjoyable attractions that we have done on our trip. It is affordable and a real step away from the other expected tourist attractions. It is located off of River Road, which is just behind the main strip and was a nice quiet respite from the hustle and bustle we have navigated the last few days. The boys all enjoyed it to my surprise and it was a nice cool place to take a break. At Christ in the Smokies, you are led through a narrated, inside tour of various biblical scenes that are well done with wax figures. It was nice to be able to put life into the stories the boys have learned in church and to reflect on the life of Jesus. Obviously, I respect everyone's right to their own religion or choice to avoid it altogether, but this was our opinion of the attraction. There is an online ticket special that makes the cost $9.00 for adults and $4.00 for children. The Gatlinburg Sky Lift is literally about a block up from Christ in the Smokies and is located on the main Parkway. It is a sky lift seat that takes you up the side of a mountain, where you can stop at the top for photos, some shopping or even lunch. When you are ready, just ride back down. Definitely skip this if you have a fear of heights, but if not, it is an awesome ride and a great chance to get some beautiful photos of the surrounding area. Cost is $13 for adults and $9.75 for children ages 3-11. Yes, I know we just did the Ripley's Marvelous Mirror Maze the other day, but when the boys saw this one, they had to do it too. It is essentially the same as the Ripley's one, although the light effects are a little cooler. 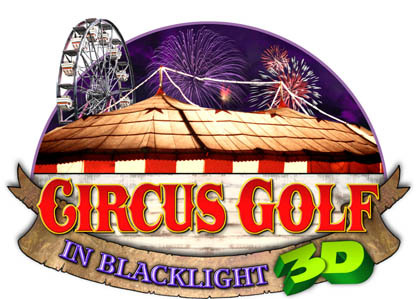 It is attached to the same building as Circus Golf in Blacklight 3D and you can buy a discount ticket that offers you admission to both for $14.00 for adults and $10.00 for children 3-9. Since we have one car obsessed little boy in the family, I new before we even arrived in Gatlinburg that the Hollywood Star Cars Museum would be on our must-do list of attractions. It is a two story museum that has 40 authentic Hollywood cars. From the Flinstone's prehistoric car to the Ghostbuster mobile, this is a really neat attraction for either a movie or car buff. There are fun movie facts and also great memorabilia found throughout the museum as well. You cannot get into the cars, but if you wish to have a souvenir picture taken for a charge, you are permitted the sit in them for this purpose with the help of an employee. Online ticket specials are available for $10.99 for adults and $5.99 for children 6-12. After all the excitement we headed back to the Holiday Inn Club Vacations Resort in Gatlinburg and headed to the activity center where the awesome Misty helped the kids make tie dyed t-shirts. The resort has all types of fun and interactive projects for the kids each day of the week. I posted about some of them earlier in our trip and this was just another one. Some activities are free and some have a small fee to cover materials. The shirts were $10 to make, the boys had a blast doing it and now they have an inexpensive souvenir to remember our trip by. After we had a rest at the resort for awhile, we headed down to Circus Gold in Blacklight 3D. I mentioned above that it is in the same building as the Amazing Mirror Maze and that discount tickets can be purchased to include both attractions for one price. This is an indoor, 18 hole mini golf course that has a fun circus theme. The course itself is lit with black lights and decorated with bright neon colors. The course was fun and I loved that it was indoors and would be a perfect getaway when the weather outside was not so great. I of course did not win, but hey, you can't win them all. 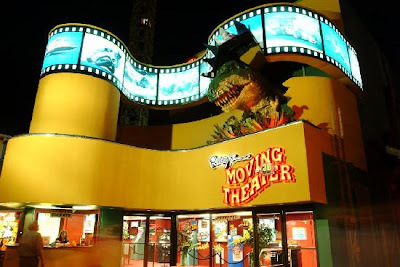 The Ripley's 3-D Moving Theater is located next door to the Hollywood Star Cars Museum and almost directly across the street from Circus Golf. Here, you can take in two short 3-D movies in a moving theater. Your seats will move and can be rough at times, so some young children or those who get motion sickness will want to skip this one. You get to see two short movies that last about 15 minutes together. The ones we saw involved a trip around the world with a focus on sites like the Statue of Liberty and the Taj Mahal, as well as a Snow Ride adventure where you go on a crazy ride through the ice and snow. The boys especially loved the fact that during the Snow Ride snow came falling from the ceiling. Cost is $12.99 for adults and $7.99 for children up to 11. You must be 40" tall to go into this attraction and children must be seated in a seat by themselves. That was the end of our busy third day in Gatlinburg. Check back tomorrow when we take the boys rock wall climbing, hiking in the Smokies and more! 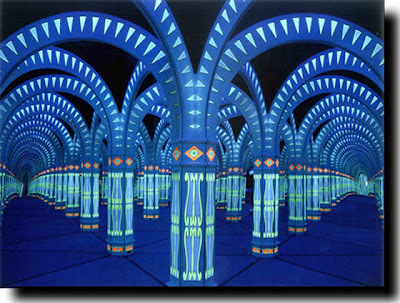 The mirror maze looks so very cool! Looks like the kids are having a great time! The mirror maze looks amazing! Looks like the kids are having so much fun. The Mirror Maze looks great. My hubby says Gatlinburg rocks. It looks really neat! It is really great Amy. There is a whole outdoor adventure side as well with ziplining, rafting, etc., which we couldn't do this trip because of me being pregnant. There is tons to do though and it is a great place for families with kids. I need to go to Gatlinburg! I love the chair lifts! We've been to Gatlinburg twice, and never saw the Christ in the Smokies statue. That is cool! WOW, everything looks SO fun! I want to go. Gatlinburg (and Pigeon Forge) are wonderful vacation spots, for sure!